- Use existing Cat 6 cabling. - Plug & Play installation, no software drivers required. 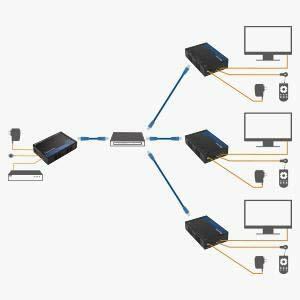 - Extend & split with an inexpensive network switch. - Add up to 8 total displays with additional receivers (Model 103002R). 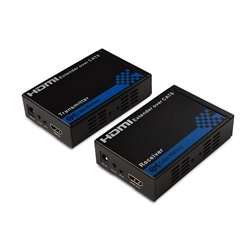 - Reliable AC powered HDMI Receiver. 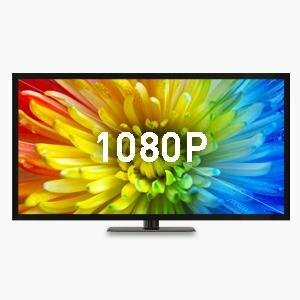 - Supports up to 1080p. - LCPM, DTS Digital, Dolby Digital audio. - No separate audio cable required. 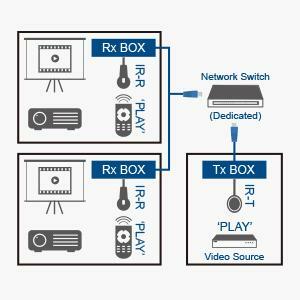 - Compatible with HDCP compliant equipment. - Integrate with an HDMI switch, splitter, or matrix. 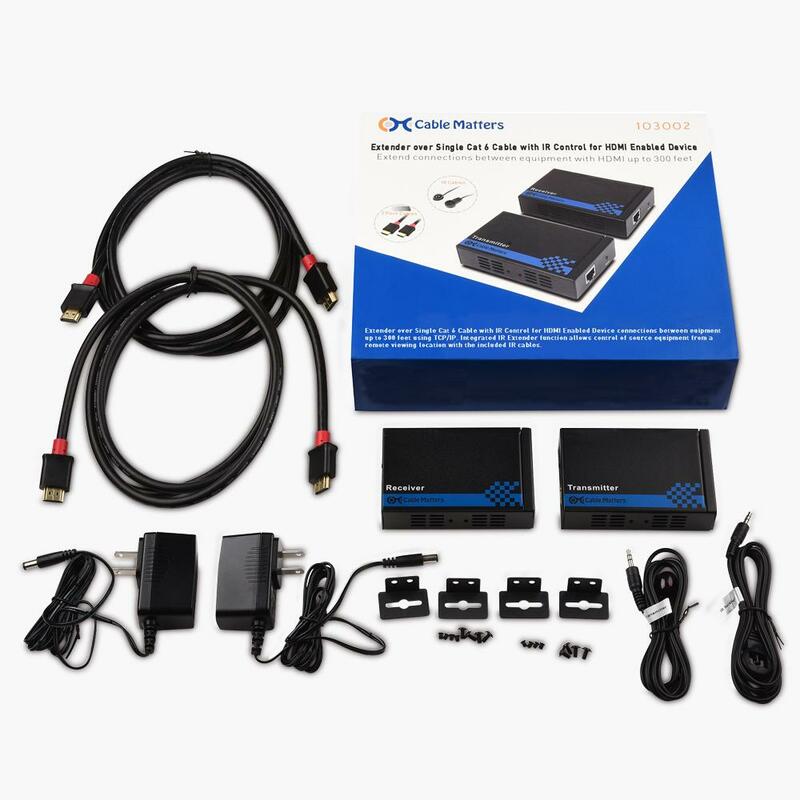 - Includes IR Tx & Rx cables. - Uses your existing HDMI source remote. - Control the video from the display location. - Weighs less than 8 oz. - Mounts with included brackets. 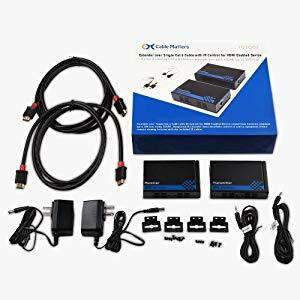 - Includes 2-pack 4K rated HDMI Cables. 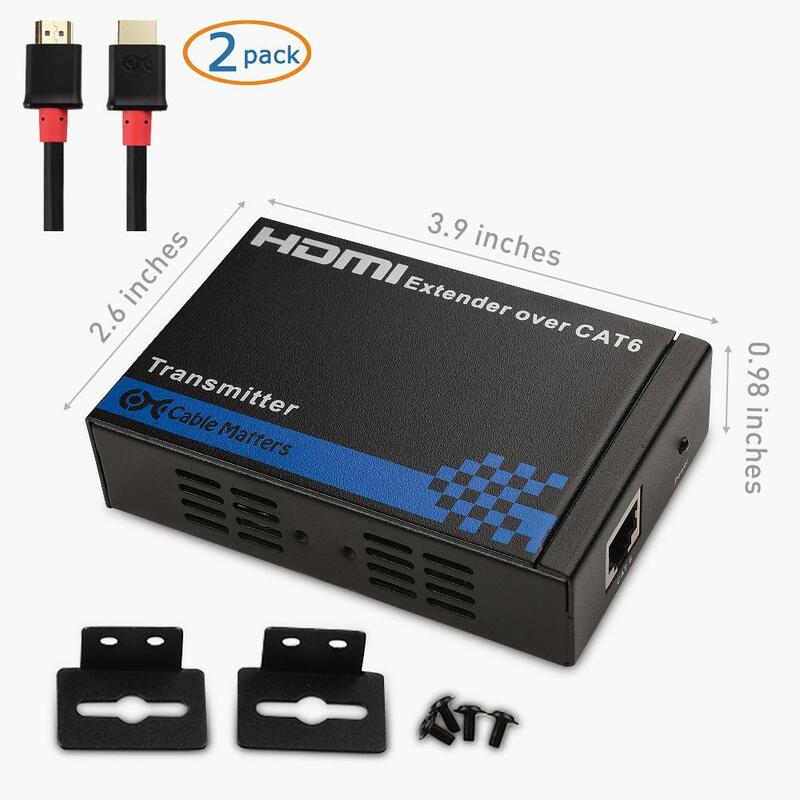 1 x HDMI Transmitter & Receiver. 2 x HDMI Cables (6'). 2 x 5V DC Power Adapter (5'). 1 x IR Transmitter & Receiver (5'). 4 x L Mounting Brackets & 16 x Mounting Screws.